She’s been there longer than many Islanders have been alive and in every kind of weather Martha’s Vineyard can muster: northeasters, blizzards, blistering heat waves and hurricanes. When the baby was about to be born, when the first child was headed off to college, when the medical emergency demanded a nail-biting trip across seven miles of water, the odds are better than even that Bridget Tobin was there at the ferry terminal. Always ready with a broad smile and a kind word or two, Bridget could wave cars and trucks on and off the boats with the complete focus and concentration of a field general. Because with all due apologies to general manager Bob Davis (and Wayne Lamson before him and Armand Tiberio before that and all the other guys whose names are now forgotten), Bridget was the supreme commander of the Steamship Authority as far as the Vineyard was concerned. She knew everything except maybe how to captain the ship, but honestly, in a pinch, we could probably rely on her for that too. We knew her too and she was a genuine friend to all — and that counts for something in a world where mean-spiritedness is the new melody. 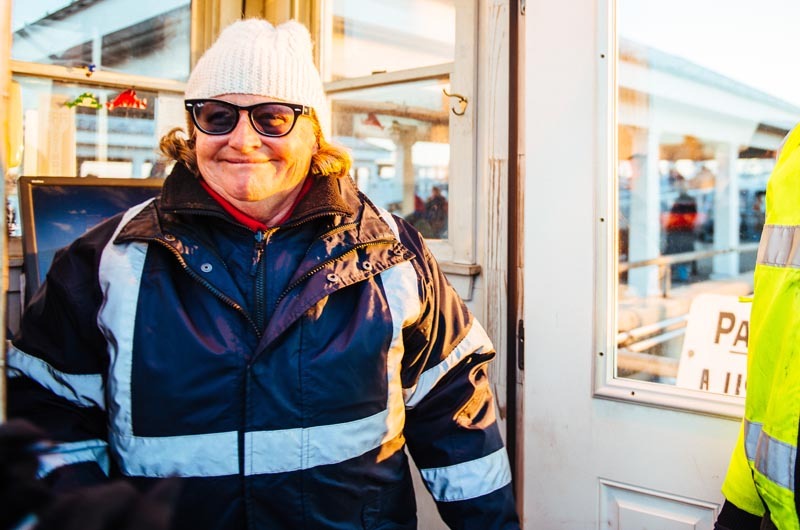 Bridget Tobin retired this week, and on Tuesday people streamed into the Oak Bluffs ferry terminal to wish her well as she sails off in a new direction. After forty-four years on the job, no one could disagree that she has earned her break time. She plans to return in summers, which will make the transition a little easier for the thousands of Islanders who love and rely on her. Still, it just won’t be the same at the ferry without Bridget.